In a bowl, cream butter and brown sugar. Beat in egg and vanilla. Combine dry ingredients; add alternately with sour cream to creamed mixture. 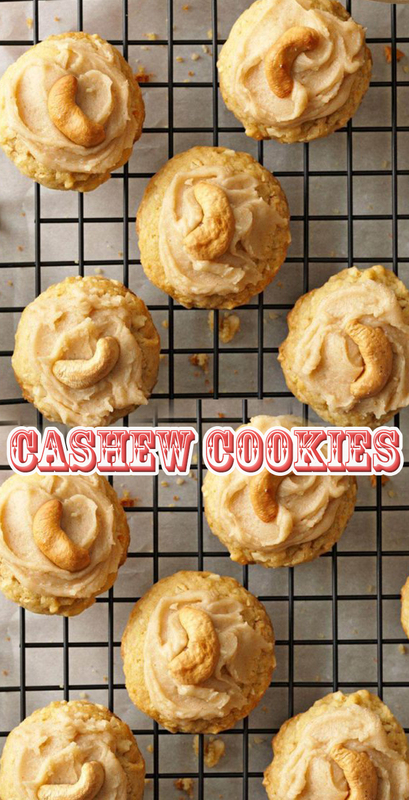 Stir in cashews. Drop by tablespoonfuls onto greased baking sheets. Bake at 375° for 8-10 minutes or until lightly browned. Cool on a wire rack. For frosting, lightly brown butter in a small saucepan. Remove from the heat and cool slightly. Add cream and vanilla. Beat in confectioners' sugar until smooth and thick. Frost cookies; top each with a cashew half if desired.